Just when we thought that the human body couldn’t get any stranger, Ma Xiangang decides to prove us wrong. 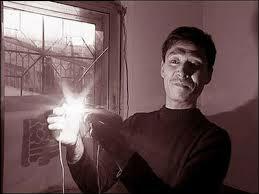 Chinese man Xiangang is able to touch a live, uninsulated 220 volt electrical wire without being shocked. Skeptics might say that we are dealing with a case of pain suppression, that “Electric Man” Xiangang, from Daqing, in China’s Heilongjiang province, is getting shocked while mimicking a state of comfort. That is not the case here, he is able to interact with wires that are filled with lethal amounts of electricity. Any other person would be fried, as the uncomfortable scent of burning hair would fill the room. So why is he immune to doses of energy that would otherwise knock out a bull? Does he have super powers? The short answer is no, he does not. Electrical current follows strict electromagnetic laws. The human body can allow a certain amount of electricity to flow through it, without causing serious damage. No two human bodies are alike, we each have unique concentrations of water, and general density. Ma Xiangang seems to be on the upper spectrum of human electrical conductivity, as his body can allow 6-7 times the normal amount of power to pass through him. His property is rare, but not unique. There are plenty of individuals that are good electrical conductors, and there are some that may even exhibit slight magnetic properties. Also, lethal doses are established by the intensity of the current, not by its voltage. You could have hundreds of volts coursing through you, but as long as the current intensity remains decent, your heart muscle will not stop. He claims that it does not hurt him, and it feels like a massage. That is doubtable, because everything in our body communicates using electrical signals. Jolts of power usually cause those intense muscle spasms, as signals from the brain are disrupted. Ma Xiangang’s ability is interesting, but it will remain just a nifty parlor trick. He can handle live wires without getting shocked, but it is possible that one day his luck will run out. Used with a controlled source of power, he may entertain any crowd by lighting paper on fire, or touching something that spikes up his hair. The human body is certainly a fascinating and wondrous thing. One might even say that it is shocking! Big deal! All you need is dry hands. Wow Amazing Xiangang. How can you do this. So much voltage passing you but you never hurt. God make you different. What a very interesting story. I wonder if it he is for real or whether it is some kind of a hoax?